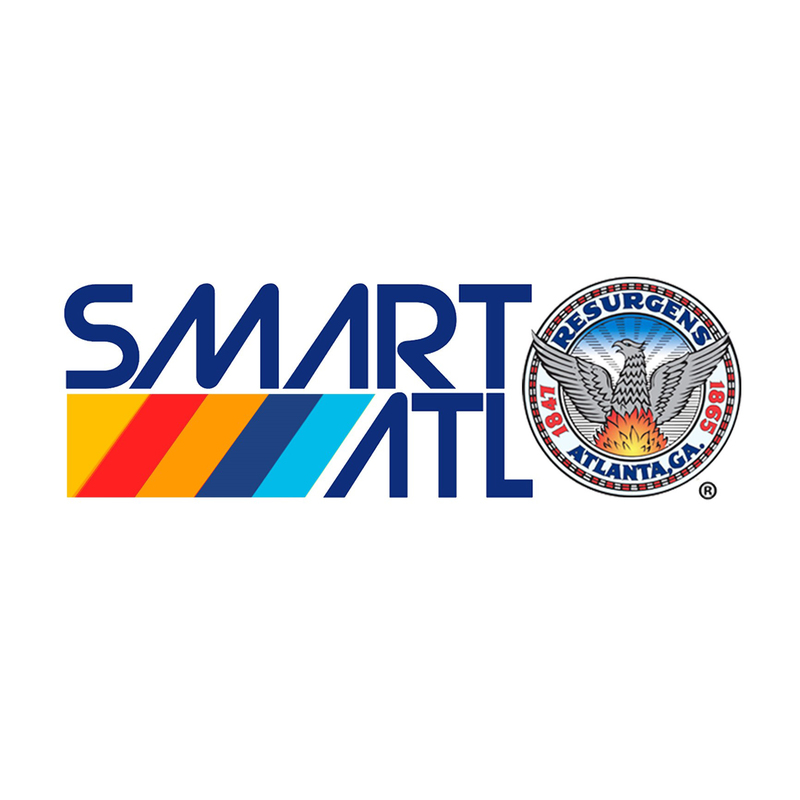 In the summer of 2016, a team of students and researchers from Georgia Tech collaborated with the City of Atlanta, a group of Atlanta residents, and service providers to produce a community engagement playbook for the City of Atlanta. 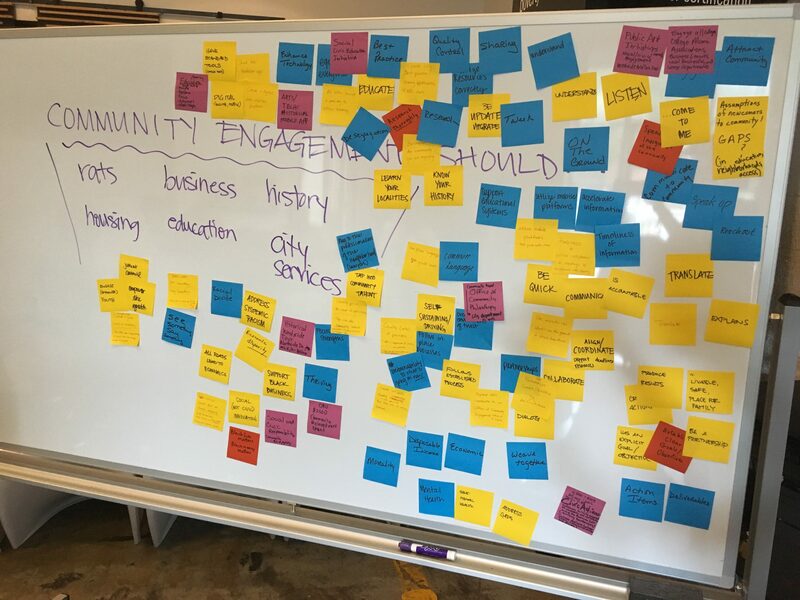 This “playbook” is a collection of best practices – or “plays” – for how to implement effective and impactful civic engagement projects across different city concerns. The goal of the playbook is to increase the capacities of both community associations and service providers to collaborate to achieve authentic and impactful change that represents the needs of Atlantans. Written as a collection of resources, the playbook contains a variety of practices and strategies that can be picked up in part or in whole depending on who’s involved, community needs, and availability of time and resources. 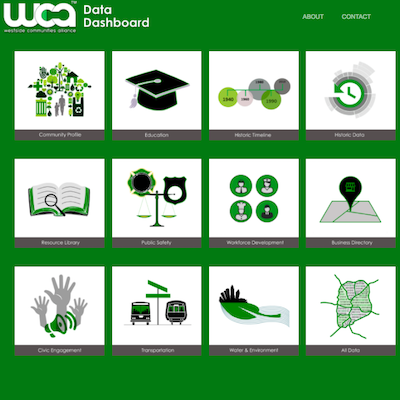 Instead of rehashing what we learned about the playbook, which is freely available online, here we’d like to share a little about what we learned about community engagement through the process we used to create the playbook. 1. Listen humbly: As a team of four academics and researchers from Georgia Tech, we came into the project with over two decades of collective experience working with community engagement.1 If we knew anything from our combined years of working with communities, it was that there is always more to learn. As we met week after week and built relationships with project stakeholders, we built a wealth of knowledge that we could not have gotten from a single meeting, or a bibliography of citations, or even hours of interviewing. City officials learned of previous community projects relevant to their work; residents learned the challenges of working for the city; and we all learned a great deal of empathy for the challenges and limitations each faced, whether as residents trying to organize collective action, or as city officials trying to navigate statute and institutional boundaries. 2. No one knows everything, but together we know a lot: With so many folks from many walks of life – different neighborhoods, different city departments, different generations – it became clear that each meeting was overflowing with wisdom. In fact, one of our biggest challenges was ending meetings on time because each person had so much to offer. We learned to respect different experiences and perspectives and appreciate the value in each contribution, while also acknowledging the expertise that each individual person had in that room. More than learning about community engagement together, our meetings were a way for us to do community engagement together, and by experiencing it in action, we were able to better trust in each other, and collaborate more authentically, achieving the momentum needed to sustain a long-term project. 3. Trust the process: We’ll be honest – the first few meetings were rough. Each of us acknowledged that we had been part of community engagement projects before, so there was a healthy amount of skepticism among community members that this round of meetings would result in anything different. Residents were ready to tell the same stories they’ve been telling and city officials were ready to get yelled at – and both those things happened. But, what followed was a group of people who got together, dug in, and worked week after week to do the work of articulating what engagement is, what it should achieve, how it should achieve it, and the concrete steps that city and residents can take to meet each other on shared terms. As each side said their piece, committed to a set of actions and asked each other for support, we were able to push through and accomplish what we all said we were there to do: provide a roadmap and toolkit for re-shaping community engagement in Atlanta. 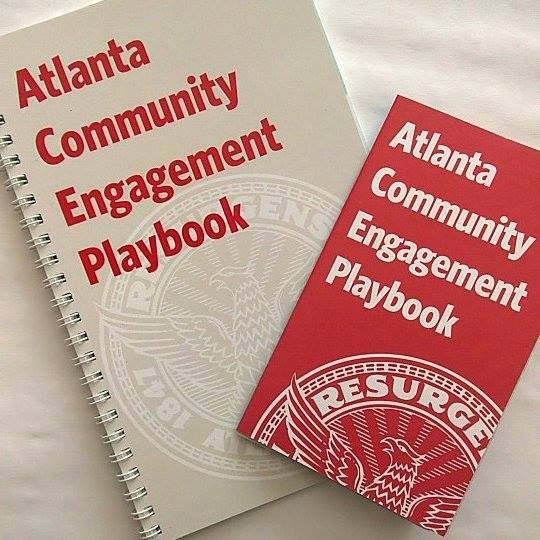 In the time since we launched the Atlanta Community Engagement Playbook a year ago the city has hosted trainings across eighteen departments and is using the playbook as part of their standard procedure for community engagement. We have also printed and distributed 2,300 playbooks to residents all over Atlanta during that period. 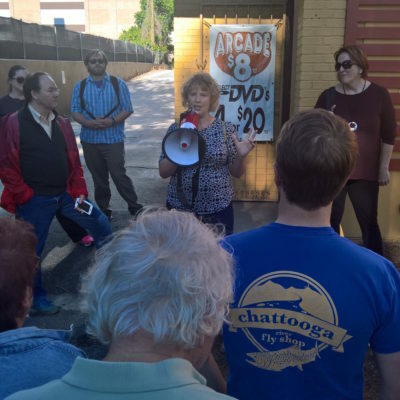 Neighborhood associations, Neighborhood Planning Units (NPUs), and other community groups are using it to help them be as effective as they can be in advocating for and effecting change in their communities. As much as we had high hopes for the impact of the project when it started in 2015, it has far exceeded our expectations. While we’re proud of the playbook and of all the work that each of us put into the process, we’re not pretending it was easy. In fact, what we’re saying with the playbook is precisely that community engagement is hard: we need to do more than just come together to do it, we need to break things, work outside of our normal habits and routines, dig in, build common ground if we can’t find it, and build bridges if we can’t build common ground.